Wrought iron, 16 cup, votive candle holder. 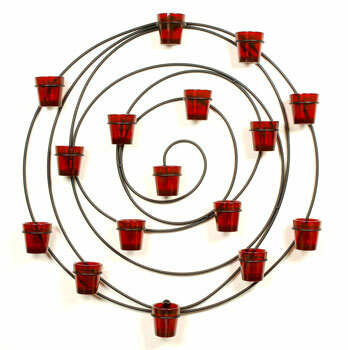 Sconce holds 16 flower pot style votive candle cups. Heavy wrought iron. 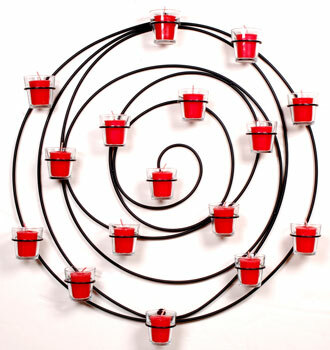 This votive candle sconce is 26 inches in diameter and weighs 5.5 lbs without cups. 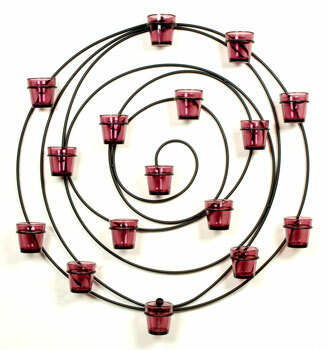 This candle sconce is beautiful with our colored votive cups. Our cups come in green, amethyst, dark purple, amber, and clear. See our selection of votive cups at - SpringHouse Candles colored votive cups.